President of People With Disability Craig Wallace said it was time to “pass on the baton” as he announced he was stepping down early. In a statement of resignation posted on his official personal website he said he had decided to step aside as president of PWD a few months before his term ends in November, in a bid to focus on campaign roles in the ACT and to support his family after the recent death of his father. Wallace told Pro Bono Australia News it was the right time, but he was proud of what he and the organisation had achieved. “My term was over, we had a two term rule, it was kind of like the Roosevelt rule, where you can only be president of PWD for two terms, so it was coming to an end anyway,” Wallace said. “I made a conscious decision that I wanted to give current members of the board a chance to develop leadership capacity between now and October, I don’t believe in seat-warming positions and holding on to them. “To be honest I had a list of things that I actually wanted to do, I wanted to get the NDIS over the line, I wanted to wake up and democratise the sector, I wanted to change the debate about employment and I wanted disability to step up in the 24-hour media cycle. “I believe you get in and you do a job, and once that job is done you should make way for someone else. Five years, which is the length of time I’ve been on the executive, is a long time to be in media cycle and to be front foot of the sector, I do have other projects that I am working on, I am holding actually two jobs, two campaign roles, PWD was always an unpaid position, so I have two jobs that are leading into the ACT election being held in October, on housing and on the local disability scene. PWD held a ballot over the weekend for his replacement. Bonnie Millen was appointed acting president with immediate effect, ahead of a full election for members in October. Wallace said he gave her his full support and was looking forward to seeing the organisation under younger leadership. “I have always said that leadership in the disability rights movement is an earned privilege that should not be carried as a burden. Disabled people deserve committed leaders whose hearts and minds are on the job and who are ambitious to serve. When that stops it is time to make way,” he said. “It’s five years since I came back onto the executive of PWD and four years since I had the honour of being elected president. “I don’t believe in poisoning the well. I think there is a history of people staying around too long and everybody thinking they are a disability advocate and everybody making comment, I will be available as a help and a support, a behind the scenes campaigner… but I will be stepping away completely and making way for that new leadership… I want new young people to have a chance to emerge and take the stage. 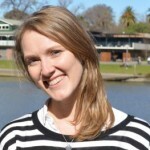 “Over the weekend the board accepted my resignation, there was an election and we have appointed Bonnie Millen, who is a young advocate from South Australia, who is hard of hearing and has a disability, as our new president. During Wallace’s time as president he said the organisation played a pivotal part in the debate on funding for the NDIS, opened up their membership online, built their media profile, established themselves as a national peak, made strides to uncover the shocking abuse of our kind and fought off a tranche of attacks on people on DSP. Wallace said he was proud of what he had achieved and how far the disability sector had come. 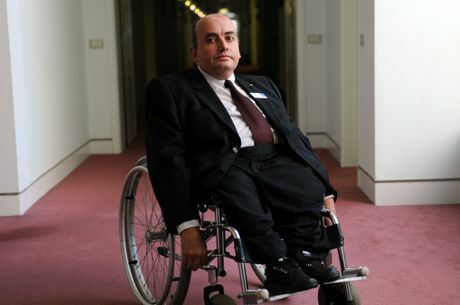 “I am probably proud of three things, I think firstly the way that we catalysed and ignited the debate about funding the National Disability Insurance Scheme, the scheme was a group effort by many thousand of Australians but we actually did play an important part in pushing the debate about funding over the edge,” he said. “In April 2013 I wrote a piece for the Australian Financial Review, calling on the government to consider hypothecation, until then nobody had actually been willing to come out and call for it. I can remember at the time we used to call funding the ‘F Word’, it was the thing that we couldn’t talk about, I thought we had to start talking about it and once that fire was lit, it just took off. Once the levy came in, the states smelled money and started signing on in droves, and the whole thing got momentum and became bipartisan. I believe that without doubt, the NDIS would have perished in the wake of the change of government and commission of audit without those bilaterals and without an ongoing funding system. Wallace said he was also proud to have turned around the debate on jobs and the DSP. Wallace said he would do it all again. 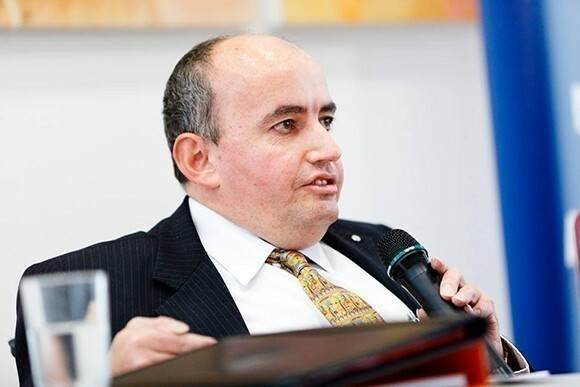 “To have had the honour of leading our community at a time when disability moved from the back page, on page 11, to page three, this is a once in a century moment or one in a 50 year moment for disability rights, and the trust and the support that have been placed in me I am so grateful for,” he said.